Making Your Own Half-Convertible Truck Cap: How Hard Could It Be? The roof of my 1964 International Scout is pretty rough; massive dent where it connects to the hatch, which is rusted to hell. Thing weighs about as much as a modern car's frame anyway. Then I thought, why not replace it with something... lighter. 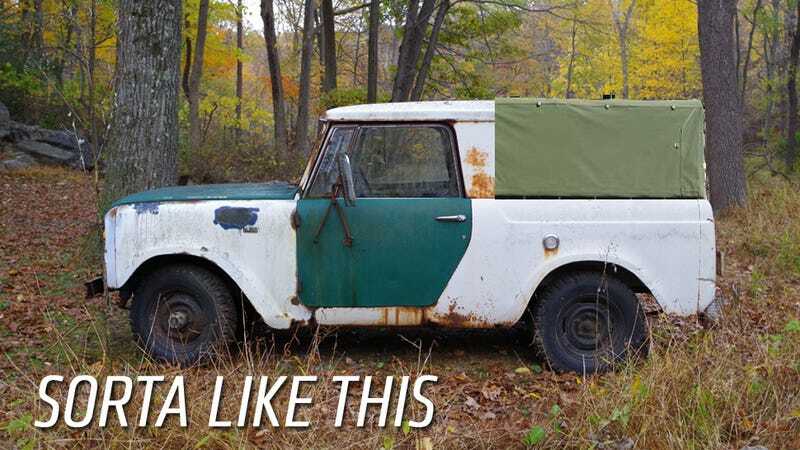 You can buy professionally made softtops for the Scout 80 for like $900... which is obviously out of the question on this build. 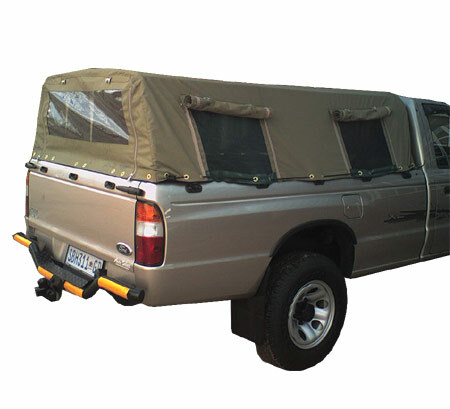 I've been looking around for a pickup truck style "half-cab" with no success yet, so I figure; unbolt the roof, cut it just ahead of the side glass windows, then get some canvas to replace the back half. This is basically what I'm picturing, except I don't need windows and it'll be straight-through to the cab.